According to the custom of Poland, Bohemia and Moravia. With commentary. Four volumes. 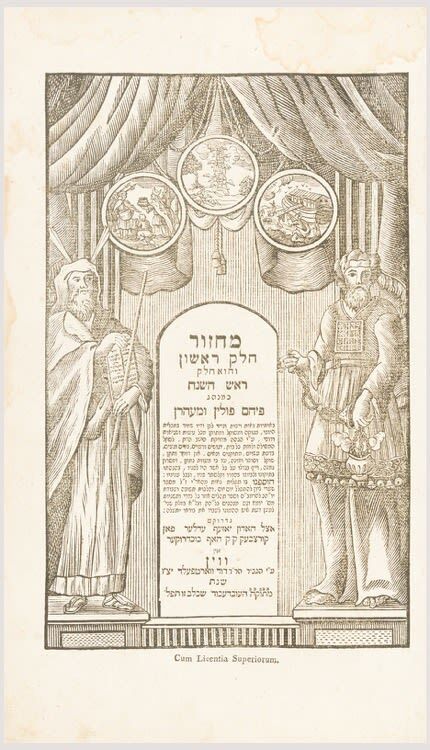 Each volume with historiated title-page featuring Moses and Aaron. Dampstained, some foxing. Uniform contemporary mottled calf, spines gilt, worn and scuffed. Tall folio.